Manhasset High School athletics director Jim Amen will be inducted into Nassau County High School Athletics Hall of Fame, hall officials announced last week. Amen, 72, will be among the second class of 31 inductees into the hall, which will located in the Nassau Veterans Memorial Coliseum upon completion of the arena’s transformation, Nassau County officials said. County officials said Amen’s “dedication to the sport of lacrosse is legendary,” having played the game and coached at John Hopkins University and school and community levels. He is currently the sport chairperson for both modified and high school boys lacrosse in Nassau County. He was inducted into the Long Island Metropolitan Lacrosse Hall of Fame and is an active member of the Section VIII Athletic Council in his role as Chairperson of the Sportsmanship Committee. He has also served as director of athletics in the Levittown, Bethpage, Cold Spring Harbor and the Manhasset districts. 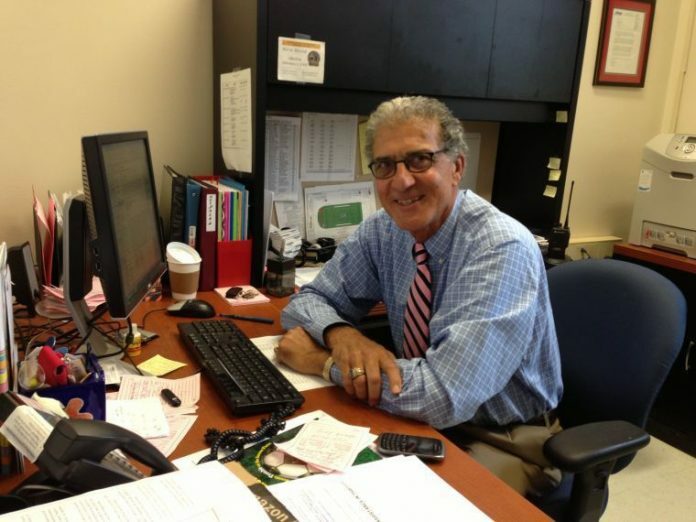 In July of 2013, Amen tended his resignation as the athletics director of the Cold Spring Harbor School District after a 47-year career in education. Amen said he received a phone call three days later from Manhasset Superintendent of Schools Charles Cardillo about taking the same position in overseeing the Indians. Amen, who lives in Northport with his wife Tricia, graduated from Massapequa High School in 1961 and began teaching physical education in 1965 as part of the Plainview-Old Bethpage School District, shortly after graduating what was then known as Cortland State Teacher’s College. In 1977, Amen left the district for Johns Hopkins University, where he coached the school’s men’s basketball team and was an assistant on three men’s lacrosse national championship squads from 1977-80. In 1983, Amen, Tricia and their three young children Scott, Lauren and Brian — all born in Baltimore — moved back to Long Island, and the next year Amen taught physical education in the Levittown School District, where he coached varsity boy’s soccer, basketball and lacrosse at Division Avenue High School. Amen said he went into physical education and coaching because of his father, James, who was a longtime physical education teacher at Division and coached football, boy’s basketball and baseball before going on to assistant coaching positions for the C.W. Post and New York Institute of Technology baseball programs. Amen left Levittown for the Bethpage School District in 1991, where he became the chairman of physical education and athletics and coached varsity boy’s basketball and soccer. Amen was unable to coach lacrosse when he started at Bethpage, he said, because the position had already been filled when he arrived. But in 1993, Amen became the lacrosse team’s head coach and the program became a strong contender in Nassau County. Two years later, while he was coaching the boy’s lacrosse team in the Empire State Games, Amen was offered the district’s athletic director position. In 1999, he accepted the position athletic director’s position with Cold Spring Harbor, where he’d spend the next 14 years. Amen said he admired the Cold Spring Harbor position for much of his career, saying that, like Manhasset, it was a premier district with a strong focus on academics and athletics. An Induction Ceremony for the Nassau County High School Athletics Hall of Fame Class of 2016 will be held September at the Crest Hollow Country Club. County officials said the hall of fame is privately funded was created to recognize, preserve and promote the heritage of interscholastic sports in Nassau County and will be located. Among the other honorees this year are Bob Baratta, former physical education teacher and coach at Great Neck South High School; Gilbert Blum, former principal of H. Frank Carey and Great Neck South High School; Bill Piner, the former athletic director at Sewanhaka High School; and William Ritch, a former lacrosse coach at Sewanhaka High School.